Villa Constitución is a city in the province of Santa Fe of 47.000 inhabitants that serves an important farming area. 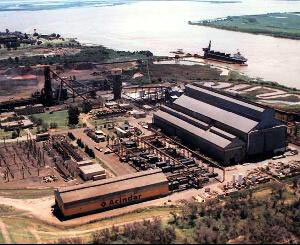 There is also an important steel mill which produces rods, billets and sheets. 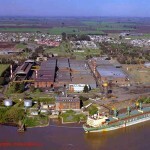 The Santa Fe-Buenos Aires freeway offers a good connection with the main industrial centers as well as with other highways into the Pampa region There are good railway connections provided by the Nuevo Central Argentino, Ferroexpreso Pampeano and Buenos Aires/Pacific lines. The closest airport is at Rosario, some 50 km away, with domestic and international flights. 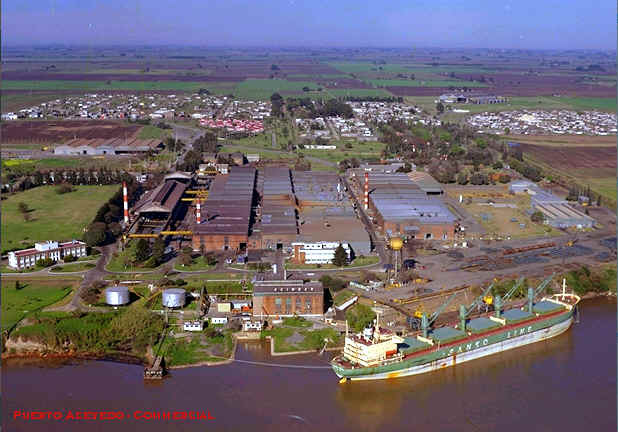 The port of Villa Constitución is situated on the right hand margin of the Paraná river, 33 miles below Rosario. In way of kms 364/367,5 left margin, sufficient space for 5 large vessels, good holding ground. As per Hidrovía S.A. dredging contract the main channel is to be maintained at not less than 10,30 m (34 ft) with regard to the agreed reference level . 8 m (26 ft) at datum, which must be specially considered by Masters in close relation to Unit 2 berth´s depth. As per request to Port Administration, subject to availability of cargo and related export documents or instructions given by Shippers. At ACINDAR´s berths: as per agreement with port managers. Villa Constitución Prefectura Naval Radio (Coastguard) VHF on channels 9 and 16. 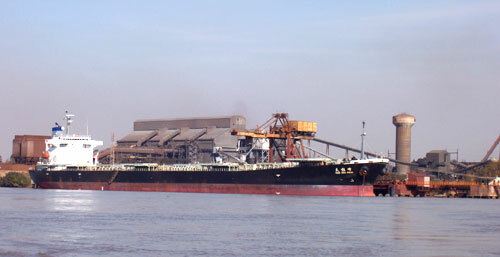 Shipping agents presently all operate from San Nicolás. Port pilots stationed at Rosario, river pilots at Rosario or Buenos Aires. They may be chosen from any of the several private pilotage associations or companies operating. Entrance to the Servicios Portuarios Elevator Terminal (Unit 2) via the access channel using one tug for berthing/unberthing. One tug of 1850 HP is stationed at this port. 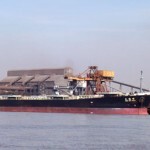 The Puerto Acevedo, Acindar and Mineral Wharfs are reached prior to arrival at the above mentioned access channel, no tugs required and berthing permitted at any time. Two small hostels but accommodations available at San Nicolás. Regular bus services to/from Rosario, Buenos Aires via nearby Highway Nº 9. Railway goods service only via Buenos Aires/Pacific railway line. The Acindar steel-mill has its own private landing strip for light aircraft. Normally by barge since delivery by truck either difficult or impossible. Locally not available, but arrangements can be made at Rosario or San Lorenzo. 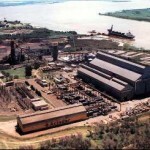 Local private firms available or from nearby ports of San Nicolás and Rosario. Compulsory for all foreign flag vessels over 2000 GRT. Open storage: Open storage adjacent to coastal wharf berth. Available at Elevator and Acindar berths.